To read the day-by-day story of the challenge, click here! 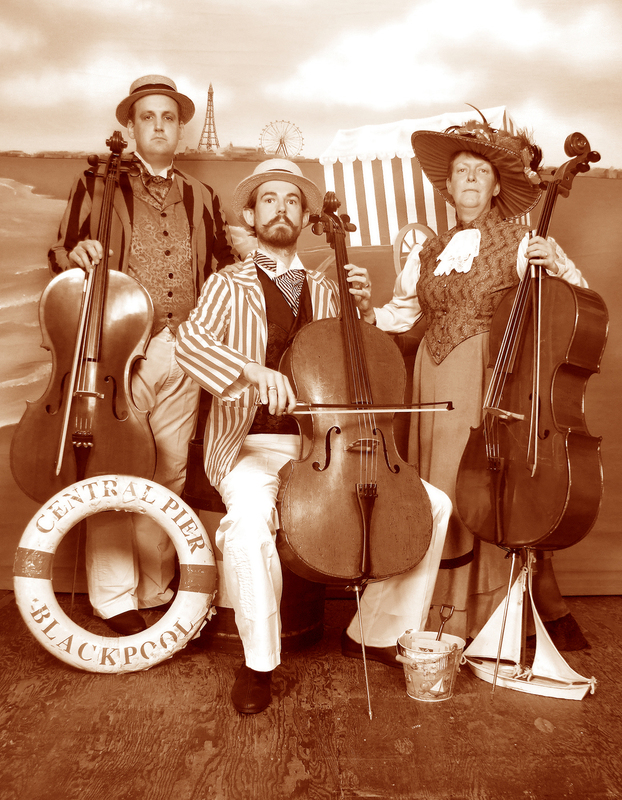 In summer 2016, we undertook our most recent major Extreme Cello challenge, PIER PRESSURE. Over the course of 14 days, we travelled around the coast of Great Britain (including the Isle of Wight), playing on all 58 surviving piers. A national children's charity providing free respite breaks to disadvantaged children from all over the UK at their three retreat locations. They hope to give up to 1,200 children a respite break in 2016. Click here to read more about CHICKS, or see the video below. To donate, click on the button to the right, or you can text ECPP55 and the amount you want to donate (e.g. "ECPP55 £10") to 70070. The UK's leading dementia support and research charity, here for anyone affected by any form of dementia in England, Wales and Northern Ireland. Click here to read more about Alzheimer's Society. To donate, click on the button to the right, or you can text ECPP66 and the amount you want to donate (e.g. "ECPP66 £10") to 70070. In addition, we did evening concerts along the way at St Edmund’s Church, Southwold; St Margaret’s at Cliffe, Kent; and St Michael’s Church, Aberystwyth. To read the day-by-day story of the challenge, click here! 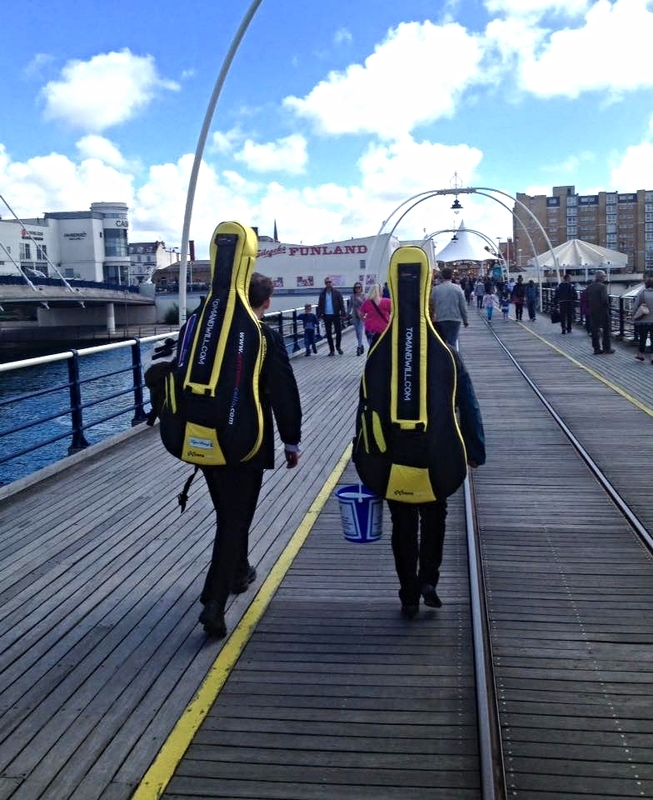 Some video clips of us playing on piers can be found here. We are also hugely grateful to our corporate sponsors for the tour. In particular we would like to draw attention to Allianz Musical Insurance, who are supporting the whole tour, and two companies who have supplied their products for us to use: The Jolly Design, makers of fine innovative cello & music stands (all in one - see the picture to the right), and Jargar Strings, whose Superior Cello strings we'll be using. Also many thanks to our other corporate sponsors Captain Fawcett, Henderson's Relish, and Thornbridge Brewery.